Disney’s official apps are great — you can check out menus, see a map of the park, and even see Disney’s current posted wait times for the various attractions. Disney’s app can tell you what the current wait is, but to avoid that long wait, it’s better to plan ahead. Although having current wait times at your fingertips is nice, it might not help you actually save time in line as much as you’d expect. 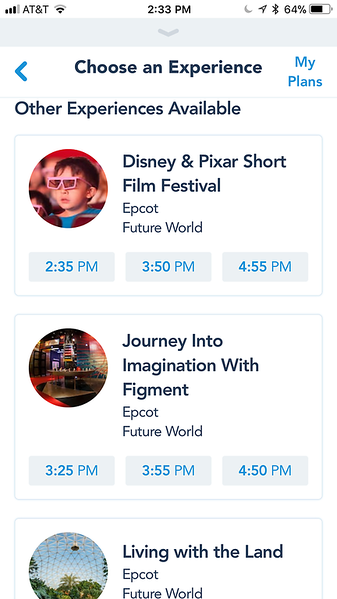 After all, if it’s noon and you want to visit Radiator Springs Racers at DCA, or Seven Dwarfs Mine Train at the Magic Kingdom, does it really help you that much to pull up Disney’s app and see that the posted wait is 90 minutes? You already likely knew the wait was long — at this point it’s just a matter of degree. I don’t know about you, but for me, whether the wait is 70, 90, or 120 minutes, I don’t want to be waiting in that line if I can help it. And the best way to avoid that wait is to actually decide in advance how you’re going to approach visiting the ride, whether it’s by arriving early, using FastPass, or both. And when you’re trying to figure all of this out for not just this single attraction but for fifteen of them, RideMax can be a huge help in mapping out your day. Every guest who visits a Disney theme park has their own special set of preferences. These include the specific attractions he or she wants to visit, as well as the basic “rhythm” of the day. RideMax allows you all sorts of customization options when creating your ride itinerary, including the list of attractions you want to visit, the time of day you’ll be starting and ending your visit, your touring speed, various FastPass (or FastPass+) options, and even whether you want to visit the various “water rides” during the warmer part of the day. It’s your trip — RideMax will let you tweak the planning options to your heart’s content. This one’s probably obvious, but when you have a game plan like those that RideMax creates, your group is much less likely to be caught huddled around a park map trying to decide which ride to do next. Why waste that precious in-park time doing this? I’ve had customers tell me that something they appreciated about RideMax is that it seemed to reduce the bickering which can sometimes occur among young children, when they’re competing to suggest which attraction the group should visit next. If each child has had input on the list of attractions included in your RideMax plan, they’ll know that their favorite ride is on the list, and perhaps they won’t feel the strong need to insist on riding something NOW, since they can see it’s on the plan for later in the day. Remember, you’re paying a lot of money to be in the parks, don’t waste that precious time standing around deciding what’s next. Sometimes, people make the mistake of thinking that they don’t really need a RideMax plan, since they’ll “just use FastPass.” What they may not realize, though, is that there’s something of a strategy to using these reservation systems, and RideMax can help you narrow down a strategy that works for you, given your specific preferences. RideMax works with all of the various flavors of FastPass. Another important point is that whether you’re visiting Disneyland or Walt Disney World, you have a lot of options when it comes to using FastPass or FastPass+, respectively. At Disneyland, RideMax will suggest when to both get and use your FastPasses as part of your overall game plan. RideMax supports several Disneyland FastPass options. You can use FastPass in the traditional way, where your group visits the actual FastPass machines, gets your FastPass reservations, moves on to your next attraction(s), and then comes back later to actually use your FastPasses. You can also opt to send a “runner” to get all of the FastPasses for your group, saving some walking time for everyone else. Finally, if you’re willing to pay an additional fee to Disney, you can use the new MaxPass system at Disneyland, which allows you to make those FastPass reservations directly from your phone, saving walking time for everyone. RideMax supports any of these Disneyland FastPass options when it’s creating your plan. 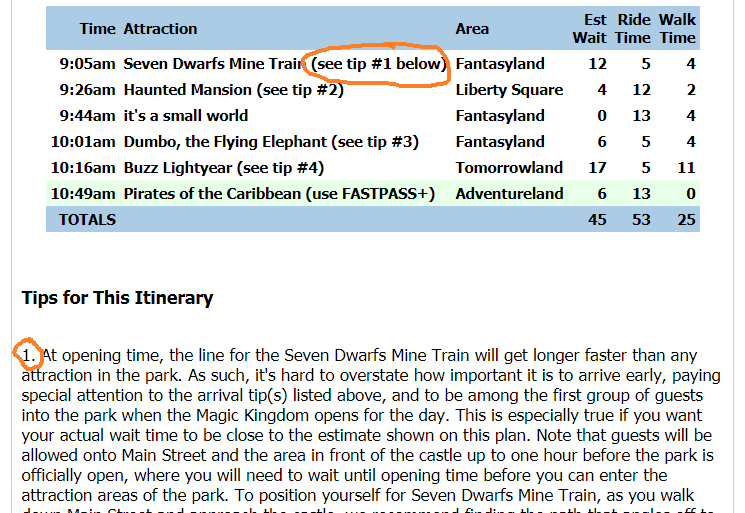 In addition, if your group is using a “FastPass runner,” you can even tell the software which specific attractions your runner is willing to skip (if any) while gathering FastPass reservations for your group. This often allows RideMax to make your plan more efficient, since the main group can then be riding those “skippable” attractions while the runner is off doing his or her thing collecting FastPasses. As for Walt Disney World, RideMax allows you to tell the software which specific attractions you want to use FastPass+ for when it’s creating your RideMax plan. You can either have RideMax recommend the time at which you’ll use those FastPasses (and you’d then request those times in Disney’s reservation system), or if you have existing FastPass+ reservations you don’t want to change, you can tell RideMax the time at which the FastPass+ reservations are set for, and RideMax will work these into your plan accordingly. 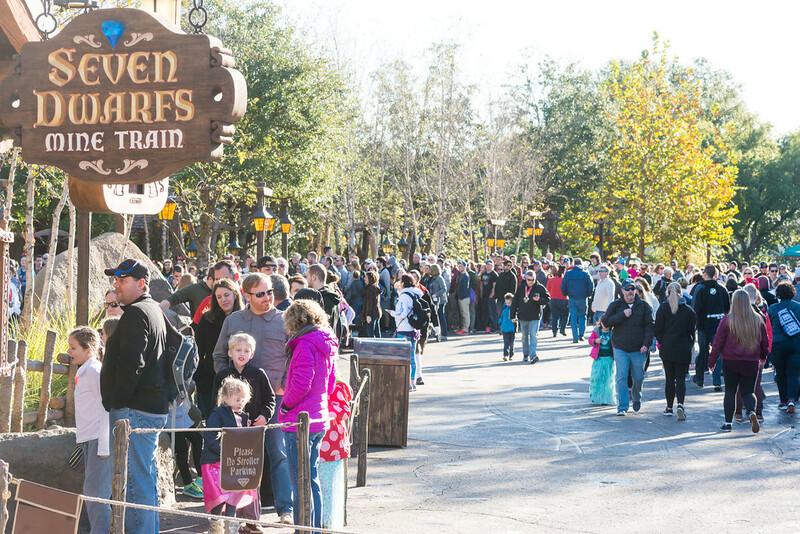 Optimizing the use of the various FastPass systems can require a strategy in and of itself. RideMax helps you sort out that strategy within the context of your larger overall game plan. If you look at your RideMax plan, you’ll see several “tips” built into the plan. These can include tips at the top of the plan which include our arrival advice, as well as tips for some of the individual attractions in your plan as well. A short RideMax plan which contains tips for four of the attractions in the plan. What you may not notice about these tips initially is that some of them are only displayed under certain conditions. 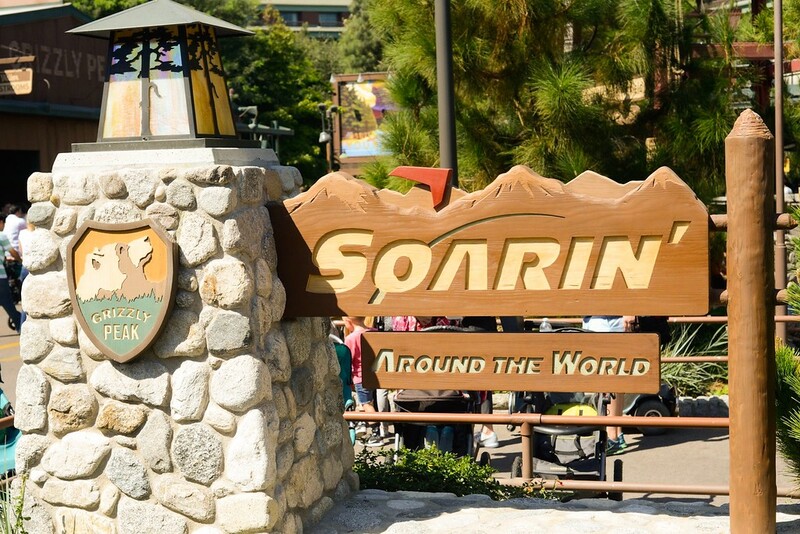 For example, at California Adventure you’ll see an important tip listed for making your way to Radiator Springs Racers, which only appears on plans where this ride is listed first in the plan, and even then, it will only display when the plan starts at opening time on non-Extra Magic Hours days. Placing these “conditions” on certain tips allows us to display tips specific to your particular plan. For example, since the Racers tip mentioned above only applies at opening time on non-EMH days, it’s a tip that you won’t see if you plan to arrive later in the day, or if you’ll be using FastPass to visit Racers instead. I mention all of the above to highlight the fact that it’s probably not the best use of your time to read tips or advice which won’t apply in your situation. RideMax is all about saving time, so why should you have to wade through a lot of advice which doesn’t apply in your case, just to find the “nuggets” which do? 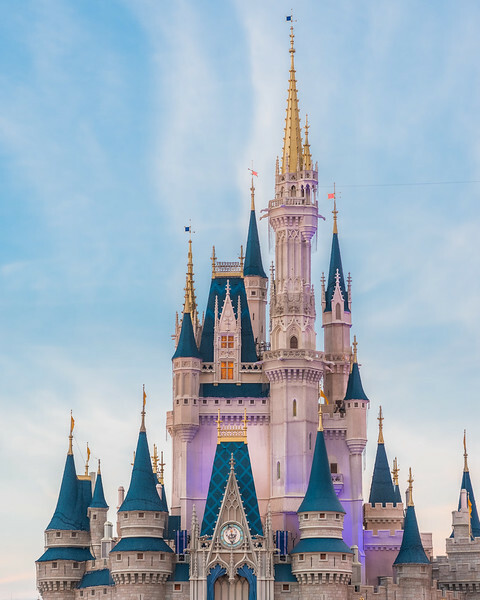 There are huge guidebooks written for Disneyland and Walt Disney World, so if you do want to read all sorts of background about the parks, then have at it. Our goal with RideMax is to narrow down the advice to that which applies in your situation, and for the specific date of your planned trip. Let RideMax help you play “What if?” with visiting Walt’s parks. 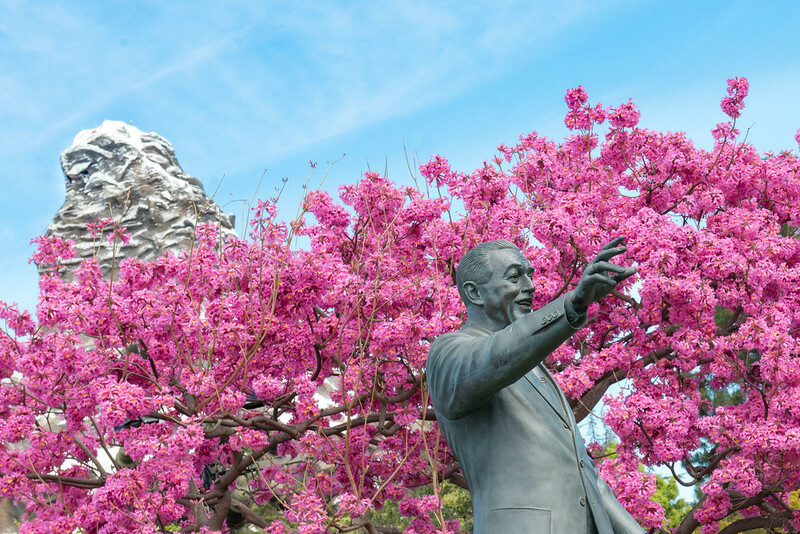 If you’re planning a trip to Disneyland and are trying to decide whether to purchase Disney’s MaxPass add-0n, you might be wondering just how much time in line you could expect to save by using that system. There are several factors which could affect your potential time savings, and some of these will be specific to your own situation. 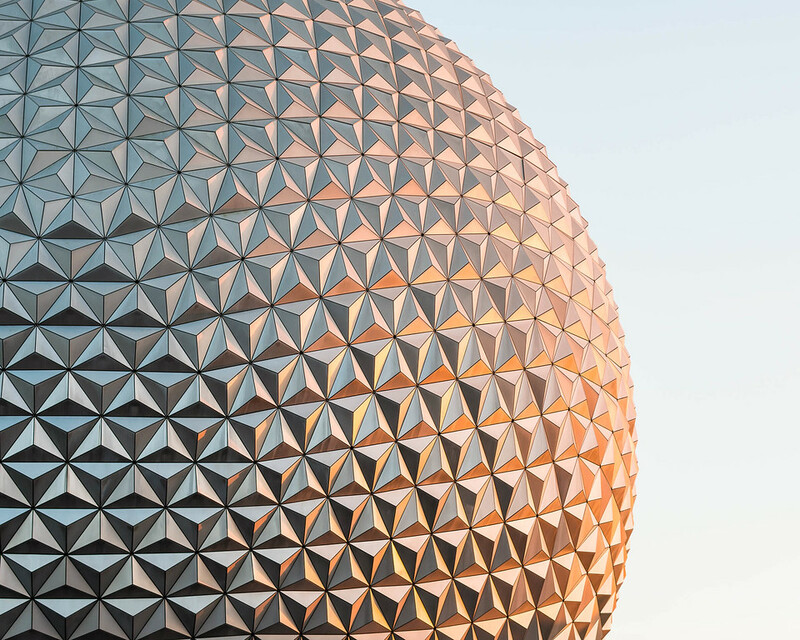 These factors include the expected crowds on the date of your visit, the specific attractions you want to ride, and whether you have someone in your group who is willing to be your “FastPass runner” should you choose to not purchase MaxPass. The great thing about using RideMax is that you can try different planning options and compare the results, including plans which use MaxPass and other plans which don’t. In addition to the cases mentioned above, I’d specifically recommend using RideMax to create plans with different arrival times and hanging on to them, just in case you actually end up arriving at the park later than you originally planned. You’ll have a “plan B” ready to go! In the previous tip I mentioned creating plans with different arrival times, just in case you arrive later than you originally intended. 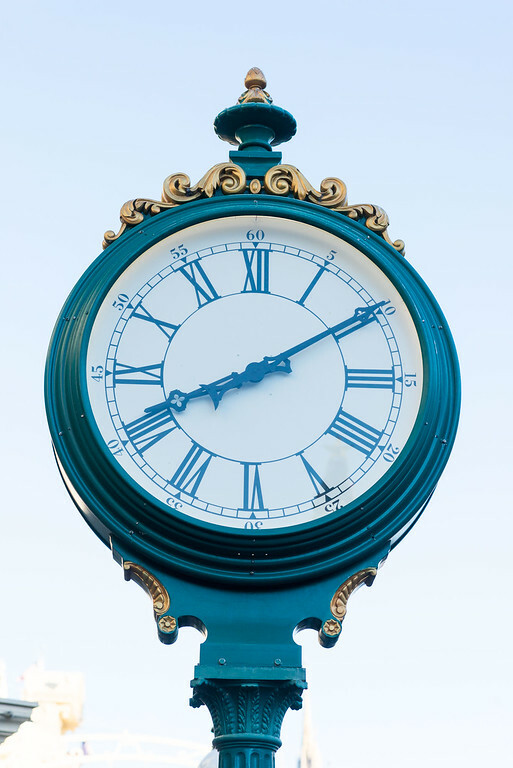 Creating these backup plans with later starting times can also have another beneficial effect, though, and that is that it allows you to compare the overall estimated wait for the day with these different arrival times. 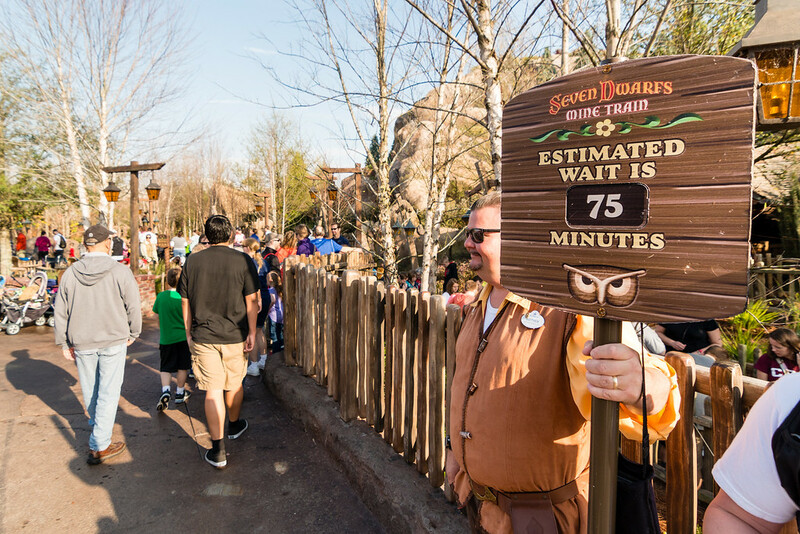 You might be surprised to see how much more time you’d expect to spend in line if you arrive even just 15 minutes after the park opens, rather than right at opening time. Seeing this difference in black-and-white could act as encouragement — for both you and for the rest of your group — to do what it takes to get there on time. Most RideMax plans also include advice on how far in advance of opening time to arrive at the park, helping you set a solid foundation for your day. When RideMax creates your plan, it takes the starting and ending times you specify, and adds your attractions, breaks, etc. Time left over after all of this is done is listed as “free time” on the RideMax plan. Since the afternoon hours are typically the busiest, this is also the time where this free time in the RideMax plan is likely to land. My hope is that seeing the free time listed where it is will give someone the confidence they need to actually take a midday break, without fear of “missing out” on something during that crazy time of the day. Hit the park early, stay into the evening, but use that block of afternoon “free time” wisely to enjoy some down time. As much as I hope you’ll enjoy using RideMax, I’m not so naive as to believe it will always be amazing for everyone in every possible situation. After all, things can and do go wrong: Rides break down temporarily, your child suddenly falls ill, Disney closes multiple attractions due to weather, or we just plain messed up the crowd estimates for the date of your visit. For all of these reasons, we offer a 30-day money-back guarantee. If you don’t feel like you received enough value from your RideMax plan(s) to be worth the small cost, just send us an email explaining what happened, and we’ll be glad to refund the price of your subscription. The fact that we enjoy a very low refund rate tells me that *most* customers have been happy with their RideMax plans. I hope you’ll feel that way too. Happy planning with RideMax, and enjoy your visit to Disneyland or Walt Disney World!